Reigning Endurance World Champions the Suzuki Endurance Racing Team have romped to success in the first round of the new and reshuffled 2016/2017 season by taking a dominant win at the Bol d’Or 24-hour race. Proving that there’s life – and reliability – in the old GSX-R1000 yet, the all-French trio of Vincent Philippe, Anthony Delhalle and Etienne Masson led all but four laps of the 687 laps they completed of the Paul Ricard circuit to take victory over the SRC Kawasaki squad. But, despite their stunning pace, Delhalle admitted afterwards that they weren’t sure just how the race was going to pan out. 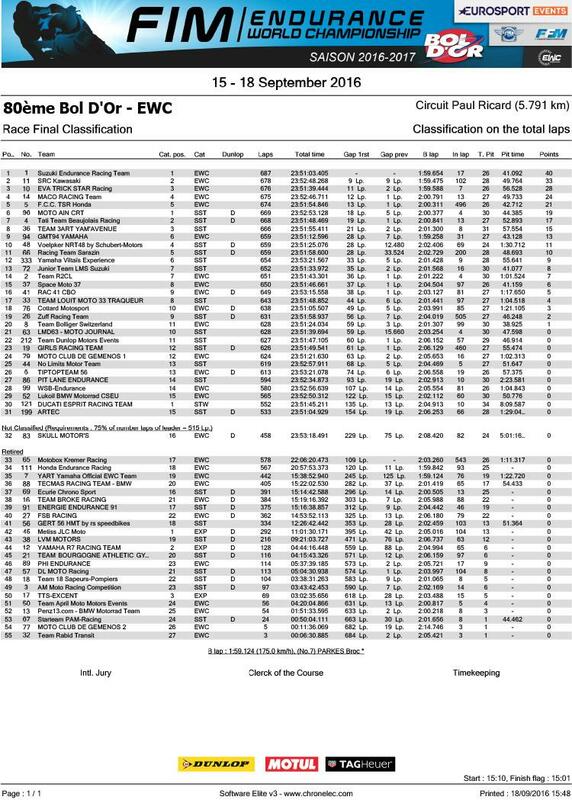 The dominant win also gave the team maximum points under the EWC’s scoring system of awarding points at the half-way point, meaning they now enjoy 60 points in the championship; a huge margin when many of their main rivals failed to finish the race. Yamaha Ténéré 700: order books open!